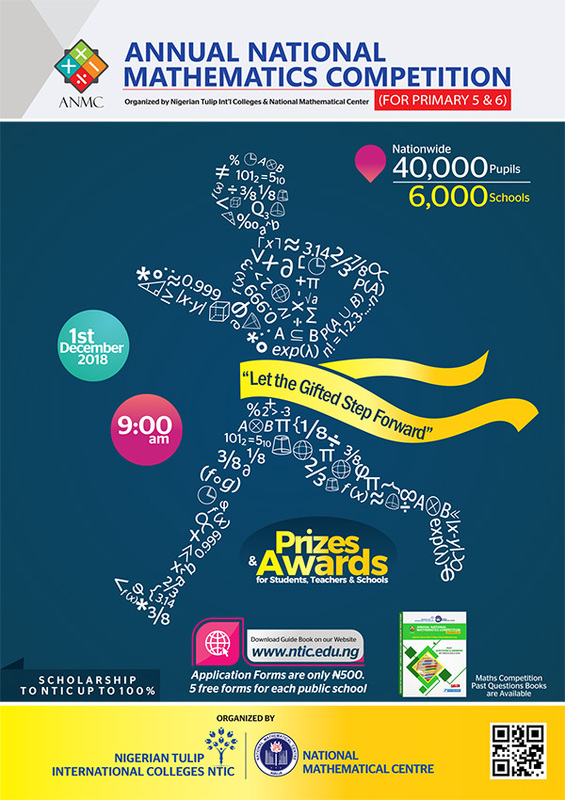 NTIC & NMC 16th Edition Annual National Mathematics Competition [ANMC] Second Round / Award Ceremony Schedule and Important Notice to all Primary 5&6 Students, Teachers and Schools for 2019/2020 Session. 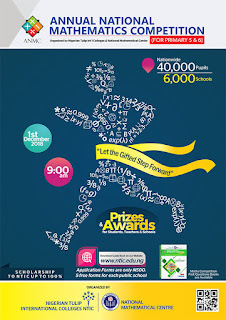 This is to notify all teachers and school authorities that Nigerian Tulip International Colleges will only recognize teachers officially presented by the school at the 16th ANMC second round competition/Award ceremony. Any teacher whose name does not appear on the examination card of the student as the official trainer should come with an introduction letter from the school he/she teaches and a valid means of identification. Please be informed that NTIC will not recognize any teacher whose school did not appoint as the official representative. For more information on the Second Round/Award Ceremony Procedures kindly see 16th ANMC Competition Registration Guidelines & Exam Dates - 2019/2020.